I recently traveled to The Villages in Florida, the largest and fastest-growing small town retirement community in the United States as reported by Forbes in 2014. With a population of over 50,000 as reported in the 2010 census, the community composed of numerous subdivisions located in Sumter County has experienced a population growth of almost 518 percent. I asked residents to approximate how many people are currently residing in the area and I was told over 110,000. While traveling 50 miles northwest from the Orlando airport through Lake County to The Villages, I could not help but notice the devastating effects of the Obama depressed economy on the local communities, the many shuttered storefronts, abandoned homes covered by tall grasses, and the scarcity of commercial development. 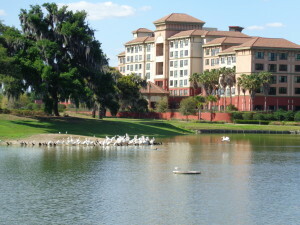 The Villages began modestly with 400 units in the 1980s but were later expanded by H. Gary Morse who had a vision to create individual neighborhoods that regulated their own design, landscaping, repairs, maintenance, placement of satellite dishes, hedges, and other amenities such as golf clubs, dinner clubs, pools, and other activities desired by the residents. One intrepid veteran decorated his front yard with a very large canon. There were American flags everywhere, no shame here to fly the Old Glory, among the many patriotic retirees from around the country. The themes and leitmotifs of each neighborhood are whimsically Floridian and delineated by convenient roundabouts. The vehicles of choice are golf carts, sporting symbols of the favorite collegiate team, carts driven with impunity even by those who no longer qualify for a driver’s license or have never had a driver’s license. The town has grocery stores, doctors’ offices, its own bank and schools, having graduated recently its first small high school class. 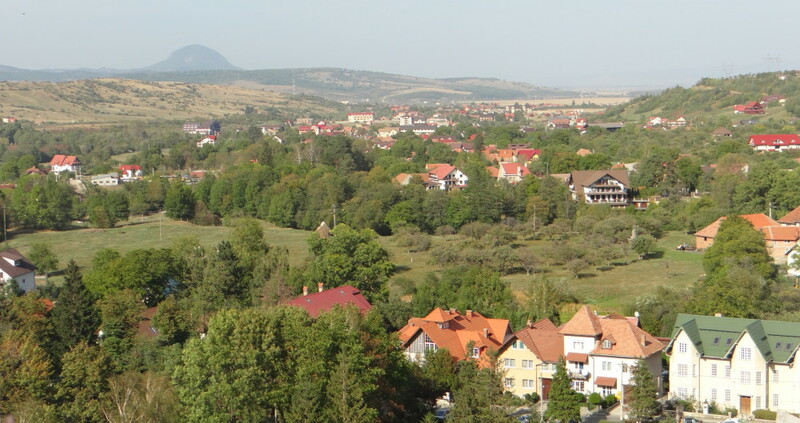 The neighborhoods have a 55-year old age restriction but there are three communities designated for families with children on the outskirts of the golfing areas. 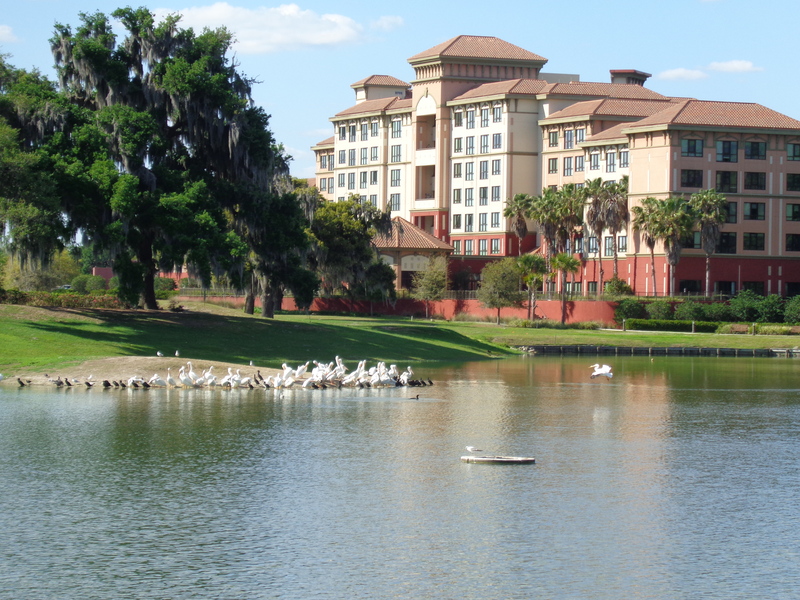 The hospital looks absolutely spectacular, like a Disney attraction, surrounded by a retaining lake where white pelicans roost every day. Not sure how many alligators are residents of the interconnected retaining ponds, but I am told that there are a few even though many are caught and released elsewhere. My dear friend Marlene drove me one morning in an electric golf cart, emblazoned with the Roll Tide logo, to their neighborhood clubhouse beautifully decorated with a nautical motif. 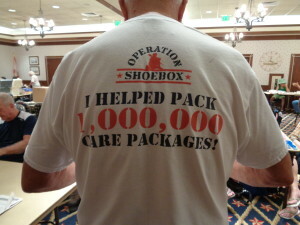 The many rooms were a beehive of activity, the center for Operation Shoebox. One gentleman sporting a white t-shirt with the logo, “I helped pack 1,000,000 care packages,” was busy folding newspaper clippings that are included in the care packages sent to our American soldiers in Iraq and Afghanistan. 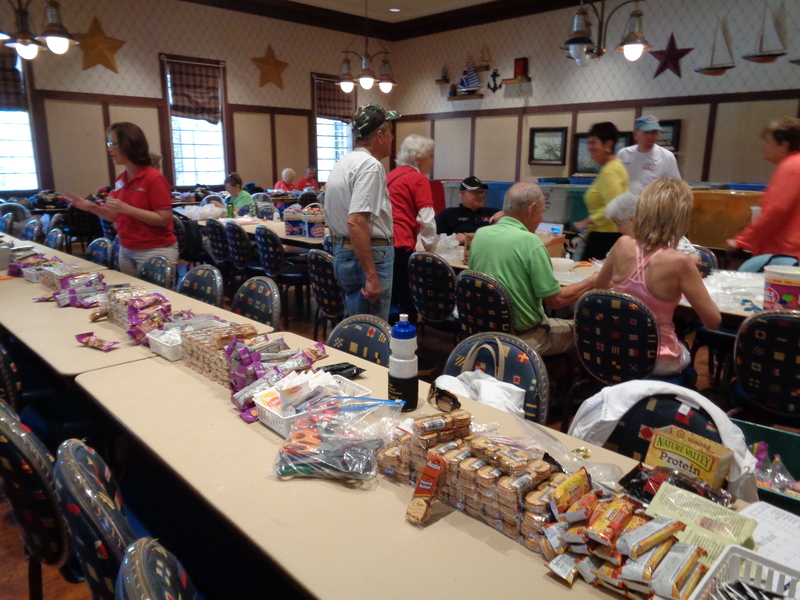 Tables after tables were laden with goods donated by Sam’s Club, local, and out-of-state citizens: candy bars, hand sanitizers, antibacterial wipes, lollipops, crackers, peanuts, and whatever the organizers decide to purchase with the money donated. 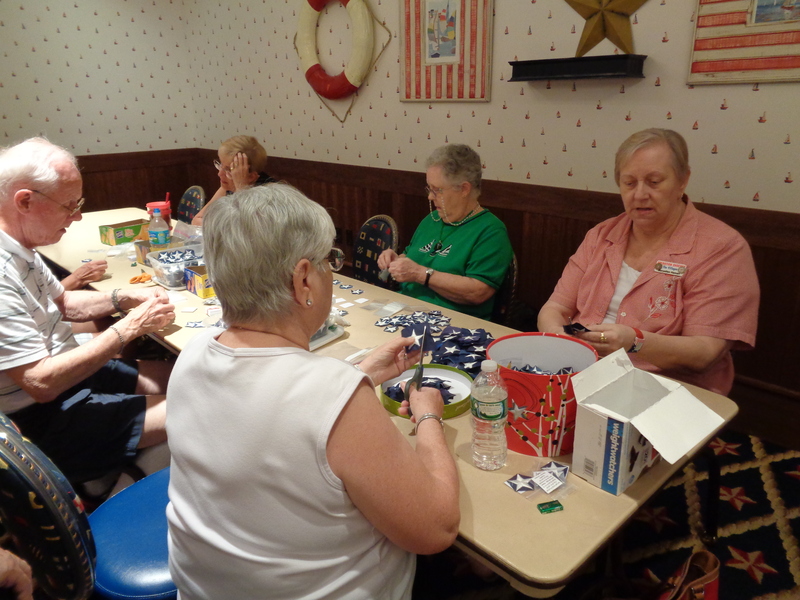 One room was busy sewing cloth bags that would include one of each item, carefully wrapped and packaged to fit as much as possible in a small space. Another room was braiding bracelets which I was told often came in handy when soldiers needed string in the middle of nowhere and they unraveled them. Another room was crocheting small caps – it gets cold in the Afghan desert at night. 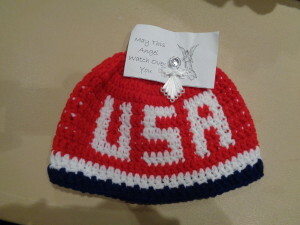 A photograph was sent back of a group of smiling soldiers, all wearing the caps these ladies had lovingly knitted. It cost about $100,000 in postage alone to send these shipments to the Middle East. Aside from the time and money spent, I was impressed by the selfless dedication of these ladies and gentlemen who were working joyously, faceless individuals who sent small care packages to faceless soldiers as a symbol of our love to our fellow Americans who are fighting the war on terror far away, and reassuring them that they are not forgotten. Each soldier also receives a personalized, hand-written card inside the package. I can only imagine the trembling, tired, and dirty hands opening a stuffed care bag while their dusty cheeks are streaming with tears of joy and excitement in an otherwise drab and scary daily existence. Occasionally, a few soldiers write back and tell the club members how much they enjoyed their token of love and what it meant to them. For these ladies, who could use their spare time to golf, have fun, visit family, spend time with their grandchildren, it is an altruistic labor of love and patriotism that many will never forget. This entry was posted in Community and tagged Afghanistan, American soldiers, care packages, community, flags, Operation Shoebox, patriotism, stars, The Villages by Admin. Bookmark the permalink. I recently came back from an Afghanistan deployment. While there, I came across one of your decommissioned flag stars. I kept that star in my pocket through my entire deployment. Thank you! I brought it home with me and it’s now sewn and proudly worn on my motorcycle vest. I wish I could share a picture of it. Thank you again and god bless!